When Bobbi Vie asked me to put together another promo mix for this year’s F.A.M.E. event, I was more than happy to do it again. I’ve been so busy lately that I haven’t had time to record any new, so this was the perfect time to do it. 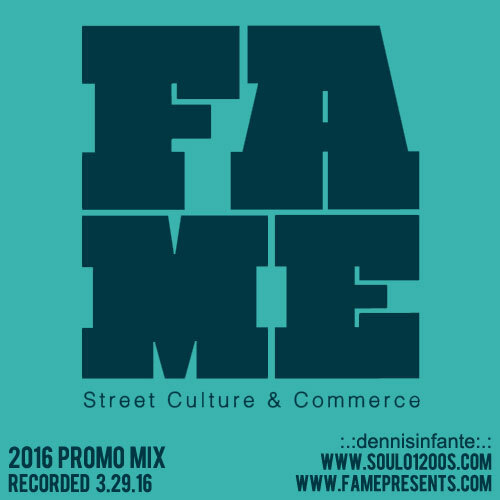 My first mix of 2016, I went a little more uptempo on this one compared to the previous F.A.M.E. mix I made. Expect to hear sounds from Tuxedo, Illa J, Anderson Paak, Yam Who, Disclosure, Teeko, Kaytranada, Nick Wisdom, Pomo, RA, you get the picture. Can’t really categorize what genres these are, so best to just listen and enjoy!